Wooden floors are designed to look great and last longer than any other type of flooring. They will give any room a touch of warmth, coziness, and style. However, if not properly taken care of, they tend to show signs of wear and tear as a result of regular use. 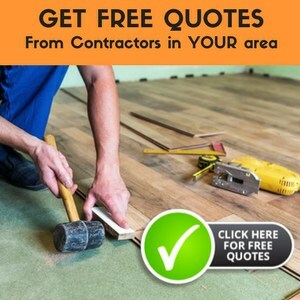 Remember to check out our best wood flooring reviews for the year. What is the best wood floor finish? While water-based, the Ultra Line 33 Floor Finish & Sealer from Simoniz is wax and not polyurethane. So, even though it does have a very mild scent, its main advantage lies in the fact that it goes deep into wood to provide maximum protection. The product comes in a 1-gallon plastic bottle, which amounts to about 3.78 liters. What's to like about Simoniz Ultra Line 33 Floor Finish & Sealer? The Ultra Line 33 isn’t just meant for use on sealed wood. It can be used as finishing on a variety of other materials, including vinyl, tile, linoleum, rubber, stone, and even concrete. Due to its use of a patented polymer formula, it gives any material an instant gloss that can last for several months. For treatment of unsealed floors, two or three coats need to be applied, which is still less than most other finishes out there. What’s more, each coat will take just under an hour to dry, so it also saves a lot of time compared to some other similar products. The Bona Mega Waterborne Wood Floor Finish is a mid-grade, budget-friendly solution used by both home owners and professionals. A one-gallon bottle of the product is enough to coat up to 600 square feet of wooden floors. What's to like about Bona Mega Waterborne Wood Floor Finish? The product is also environment friendly thanks to its low Volatile Organic Compounds (VOC) content. Applying two coats of the finish on top of the sealer is enough to restore the initial shine of any wooden floor. It gives off a slight odor following the application, but because it’s water-based, the scent will evaporate in no time. 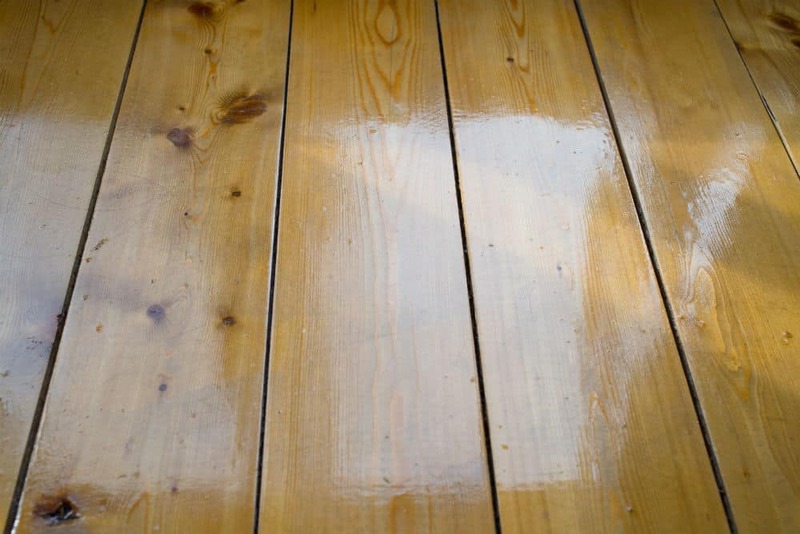 It works well on all types of wood and keeps the floor protected from scratches and dents. This product is particularly useful for dog owners whose furry friends like to sharpen their nails against wooden surfaces. Like the other products highlighted here, the Rust-Oleum Varathane Crystal Clear Satin Floor Finish comes in a one-gallon packaging. Due to its unique formula, it is perfect for hardwood floors regardless of whether they’re light or dark. This finish is characterized by its superior durability, as well its high resistance to abrasion, stains, and scratches. Floors finished with the Rust-Oleum Satin can be cleaned with any of the popular household chemicals and cleaning products. It is also good for repairs of stained and dented parts of wooden floors. Two coats of the finish are enough to restore the original shine of any hardwood surface in the house. As a rule, buying wooden floors is a costly investment, but that is because they are also the most durable flooring option. Using the best wood floor finish is the only way to ensure they will look shiny and new for a long time to come. Not only does it maintain the original shine of the wood, but the best wood floor finish also protects the floor from tears and scratches. Furthermore, the best wood floor finish should also be able to fill out the existing scratches and dents in the floor. When wooden floors lose their shine, they look dusty and dirty, even when they’re perfectly clean. The best wood floor finish must also be able to make the wood look clean. Numerous products are vying for the title of the best wood floor finish, yet only a few of them truly deliver. While oil-based finishes are very durable and easy to apply, there are also some major downsides to them; each layer takes longer to dry and they give the room a very sharp and distinct odor that won’t be that easy to get rid of. On the other hand, there are water-based finishes that need to be applied in more layers than their oil-based counterparts. What makes them stand out from other types of finishes is that they don’t give off any odor and take less than four hours to dry before another layer is applied. Because of this, when searching for the best wood floor finish, you should always look for a water-based product. The three products highlighted in this article certainly fit the bill. They are some of the most popular water-based finishes out there and are strong competitors for the title of the best wood floor finish. All three of these products are great for treating different types of wooden floors, which makes deciding on the best wood floor finish very difficult. While it has a mild odor, the Simoniz Ultra Line 33 gives the floors much more sparkle and gloss than the other two products highlighted here, and takes very little time to dry. However, it’s a wax-based finish and not polyurethane, which might be a deal breaker for some. As such, the Bona Mega is the clear winner here. This polyurethane floor finish is great for all types of wood and highly resistant to stains and scratches. One bottle of the product is enough to coat up to 600 square feet of floors; it dries very quickly, and the barely noticeable scent evaporates in under a day. On top of that, it is a very eco-friendly product, thanks to its surprisingly low VOC content. It protects the floors from scratches and stains, and is thus a perfect choice for homeowners. All these qualities make the Bona Mega Waterborne Wood Floor Finish the best wood floor finish out there.